Got ‘em, need ‘em, got ‘em, NEED ‘EM! 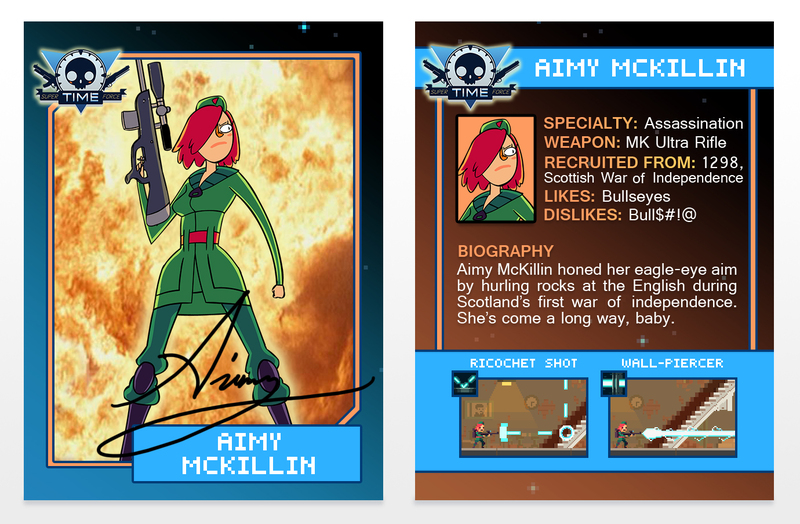 That’s right kids, everyone’s favourite Scottish sharp shooter is collectible card #2 in the Series 1 release of Super Time Force trading cards from Taups! 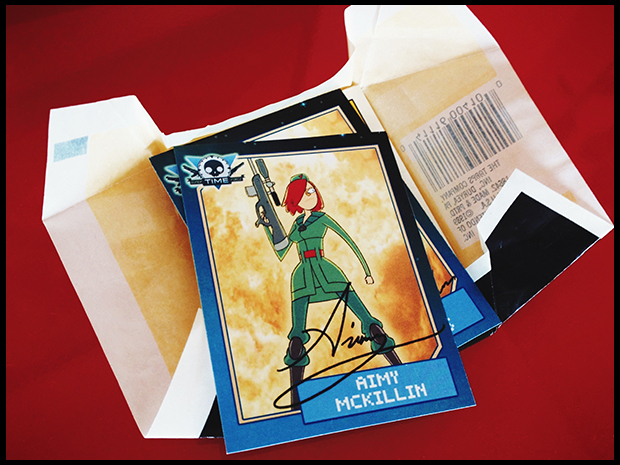 It’s Aimy McKillin! Stay tuned to SUPERTIMEFORCE.COM for more of these hot collectables!